Without experiencing it for ourselves, it is very hard to understand just how terrible it is to have severe anxiety. Outwardly anxiety sufferers can appear normal but inwardly we suffer debilitating pain, fear, worry and panic. Sometimes it’s so bad that we think we’re going to die. We are always on a knife edge, always on the edge of our seat. 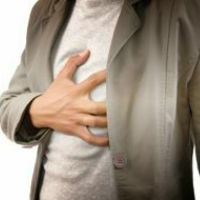 Even worse than anxiety are the dreaded panic attacks which often develop from anxiety. When attacks are triggered, we experience sudden acute and disabling onsets of anxiety. They are a very painful, irrational and humiliating experience that are so severe we are crippled into inaction. People who don’t understand advise us to relax and not to worry so much, but we find it impossible to do that no matter how hard we try. We get judged as being weak when we may not be weak people at all. Some even think we’re just faking it and can’t be trusted, which only adds to the problem. If you are not an anxiety sufferer then please do not judge those of us who are. Support us. Understand that we can’t cope in situations that don’t concern you at all. Realise that methods that work for you may not work for us. Give us the space to crawl into our hole and hide from the world if that is what we need. And most importantly of all, treat us with respect. The experts tell us that anyone can get anxiety. It’s caused by the “flight or fight” response switching on and then not switching off like it’s supposed to. Anxiety is also very common and a rapidly growing problem. According to the department of health, one in every seven Australians suffered an anxiety related disorder in 2007. Moderate to severe feelings of anxiety are very bad for us. Anxiety amplifies fear and insecurity. Anxiety can cause us severe physical pain, such as tightness and knotting that can feel like we are having a heart attack. It can make breathing very difficult, causing us to feel like we are suffocating. Anxiety can cause our minds to run out of control with destructive thought patterns and worry. Anxiety can lead to debilitating panic attacks. Over extended periods it can lead to depression which is life threatening. Anxiety also commonly causes stomach problems and disorders. On top of the symptoms and conditions it causes, anxiety also can ruin our ability to function in society. It can stop us from achieving our goals in life. Normal activities can become overwhelming, working can become impossible and our relationships can be destroyed. Even the simple act of leaving the house can be a dreaded activity. Happiness can become an impossible dream for us, beyond our ability to reach. There is good news however. Anxiety and panic attacks can often be beaten. It’s not easy but it can be done. 1. Stop drinking coffee, it stimulates us and makes anxiety worse. 2. Try to meditate or practice yoga, these help as long as our anxiety isn’t so severe we find it impossible to relax. 3. Read “The Power of NOW” by Erkhart Toll (usually available in public libraries). 4. Avoid those emotionally toxic people who trigger our anxiety. 5. Avoid stress as much as possible. 6. Learn to avoid “self-talk” that focuses on our attention on your symptoms. Instead we must distract ourselves with something external. 7. Remember that anxiety and panic attacks feel horrible but they will not kill us, so we need to reassure ourselves that we will be OK.
1. Don’t address our core issues and therefore don’t work long term. 2. Have serious side effects. 3. Require us to take mind altering medications and suffer the resulting harmful effects and addictions. Sometimes medications are necessary but we believe non-chemical solutions are better if they are effective. 4. Are too time consuming. 5. Aren’t really about delivering results. Mind Relaxation Australia aims to significantly reduce anxiety and panic attacks using alternative therapeutic methods that are easy and non-threatening. 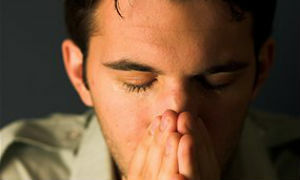 Our treatment was developed by an anxiety sufferer for anxiety sufferers. It’s the alternative treatment Alex wanted but couldn’t find. Our treatment has proven ideal for relieving feelings of anxiety in the moderate to severe range. It has also been effective in relieving anxiety related issues including fear, physical feelings of knotting or tension and anxiety related stomach problems. 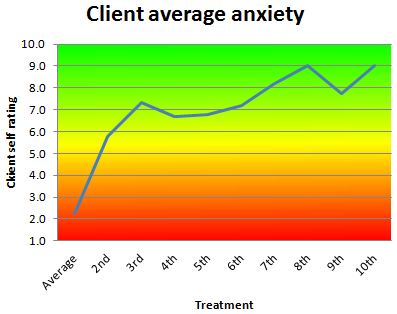 Average improvement in anxiety as rated by successful clients with serious anxiety on a subjective assessment tool, 2014/2015 financial year, where rating 1 is severe, rating 5 is moderate and rating 10 is none.